I would have never thought that I'd be writing a "how to" on staying organized. My mom could tell you horror stories from back in the day when I lived at home with my parents. But luckily my OCD husband has changed me for the better regarding cleanliness and organizing. 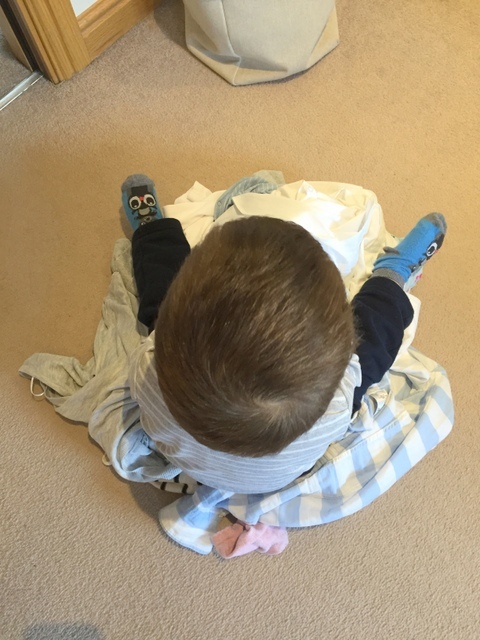 G has obviously inherited his cleanliness from his dad, as he absolutely loves packing things away, sweeping the floor whenerver he sees a broom, throwing trash in the bin and putting his used spoons and forks back in the silverware drawer (yum!). 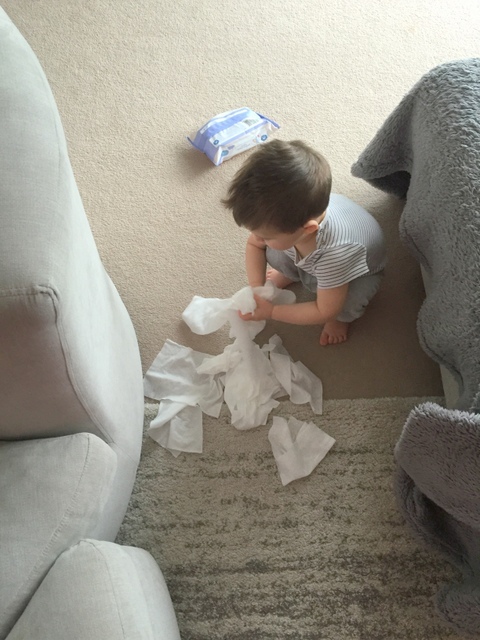 But then again, he's an exploring toddler who absolutely loves to make a huge mess! Choose 2-3 chores for the day and write them down. Chores could be organizing the tupperware drawer, cleaning the bathroom, organizing the fridge, washing make up brushes... Writing them down keeps you focused and striking it off the list just gives you a feeling of accomplishment. Include your child in your activities. G loves to help hoovering. When I wipe the table after luch, I'll give him a cloth or paper and let him wipe the chairs or floor (or the dog...). Keeps him occupied and distracted from the desinfectant bottle. Make a laundry plan. Nothing messes up a clean home more than mountains of laundry. You can even fill up the machine on the night before and just turn it on in the morning. Fold away the dry clothes in the evening while watching TV. This was the most important and life changing for me: Get good quality security locks on all drawers and cupboards! Although I didnt love the Idea of spending a good £100 on drawer locks, it was one of the best investments I've made recently. Gone are the days when all of my hair rollers and cotton wipes were spread all across the bedroom floor. It makes organizing so much easier and I dont have to fear that G will find someting potentially dangerous in the drawers. What are your best cleaning/organizing hacks? *please note that the term "organized" is used rather loosely throughout the post. "Rather loosely" - love it. I do all of these but I also have a schedule of which room I focus on each day (Monday: bathroom; Tuesday: Matilda's room; etc) so that they all get regular attention. That said, I'm still pretty ashamed of how filthy my home is and would like nothing better as a gift than somebody to come and do a really deep clean of the place so I don't have to.